England are set to begin their quest of winning a series in India after 28 years when they take on the hosts in a 4-Test series from November 15. 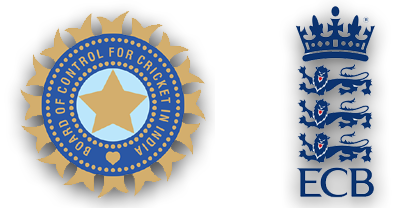 The trophy will be called the Anthony D’Mello Trophy, after the BCCI clarified that the Pataudi Trophy is at stake only when the two teams play a Test series in England. The four Tests for this high-profile series will be played at Motera in Ahmedabad (November 15-19), Mumbai’s Wankhede Stadium (November 23-27), Kolkata’s Eden Gardens (December 5-9) and the VCA stadium in Nagpur (December 13-17). The last time England won a Test in India was in 2005-06, when they beat India by 212 runs at Mumbai to draw the series 1-1. With India itching to turn the tables after their disastrous 0-4 loss in England in 2011, all the four venues are expected to produce turning wickets, so that the home advantage is at its maximum. England have met India in 103 Test matches till date, with England winning 38 to India’s 19, 46 Tests being drawn affairs. 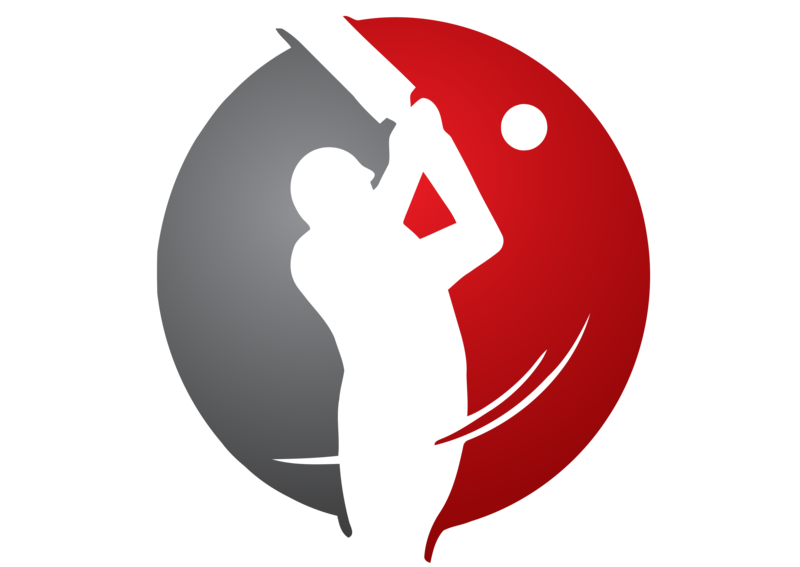 In India, the record reads 14 wins for India against 11 wins for England, with 26 draws in 51 matches. In the most recent series in England last year, India suffered one of their most embarrassing defeats – a 4-0 whitewash. Prior to that, India had won the 2-Test series at home in 2008-09 by a margin of 1-0. England’s last Test win in India came at Mumbai in 2005-06, while their last series win here was back in 1984-85, when they won the 5-Test series 2-1. The last time India won more than one Test in a series against England was at home in 1992-93, when they won the series 3-0. In the last ten Tests between the two countries, England have won 5 while India have won 2, although India have won 2 out of the last 3 series against England. When India came to England in 2011, they were the No.1 Test team. Since then, they have been on a downward spiral, and are currently placed 5th on the table. After being whitewashed in England, India suffered another 4-0 thrashing last season, this time in Australia. Victories against the West Indies both at home and away, and the recent home win against New Zealand have proved to be scant consolation. England were crowned Test champions during their 4-0 home win against India, but recently surrendered the crown to South Africa, who pushed them into 2nd position. Over the last year, England’s home successes against Sri Lanka and India were neutralized by a 0-3 loss to Pakistan in the UAE and a drawn series in Sri Lanka. At home this season, although they managed a 2-0 win over West Indies, they lost by the same margin to South Africa, losing their champion status in the process. The last series that England won on the sub-continent (excluding Bangladesh) was the 2-1 win in Sri Lanka in 2000-01. India’s batting line-up has undergone a significant change this year following the retirements of Rahul Dravid and VVS Laxman. 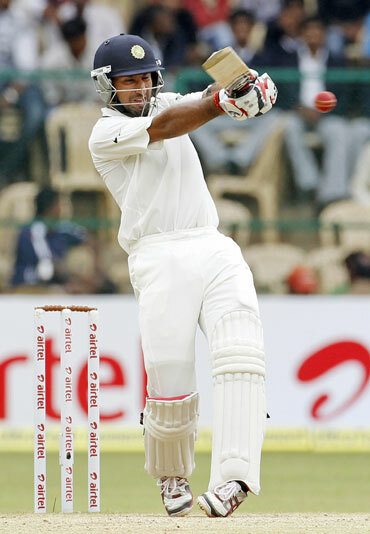 Holding the crucial No.3 spot will be Cheteshwar Pujara, who is being touted as a long-term successor to the legendary Dravid. 24-year old Pujara has played only 5 Tests so far, and he will be looking to enhance his quality as a Test batsman in this important series. 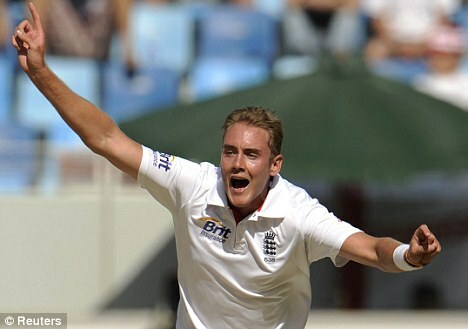 Stuart Broad has been elevated to the position of vice-captain of the Test team, and his recent form justifies that. He is currently the leading wicket-taker in the calendar year 2012, and it will not be surprising if he ends the year in that position. His excellent showing on the dusty Gulf pitches during the 0-3 loss to Pakistan will be a positive sign to England, and his more-than-handy lower-order batting further adds to the impact he has on the team. This England team looks stronger than ones that have visited India in the last two decades or so. However, winning the series in India (they have not done so in 28 years) will be a tall task, India’s own batting and bowling problems notwithstanding. But even though India is likely to win the series, they will not have it easy. My prediction is a 2-1 victory for India.